Take Action Now! Come be a part of a hands on lecture and learn about the Book Arts In-Residence The Mobile Mill, a traveling paper-making studio on September 24th at 6pm in Stratton Hall at Wells College. Jillian Bruschera focuses her art practice on social change, community, and sustainability. After a short lecture you will be able to make your own sheet of handmade paper. The Mobile Mill is an automobile outfitted with portable machinery to enable “pop-up” hand papermaking production, moving the making experience to, well, anywhere. With a focus on experiential learning and community outreach, The Mobile Mill is a space for physical, social, and artistic interaction — an alternative art-making space where new learners, practicing artists and potential collaborators can learn about paper and how to make paper. 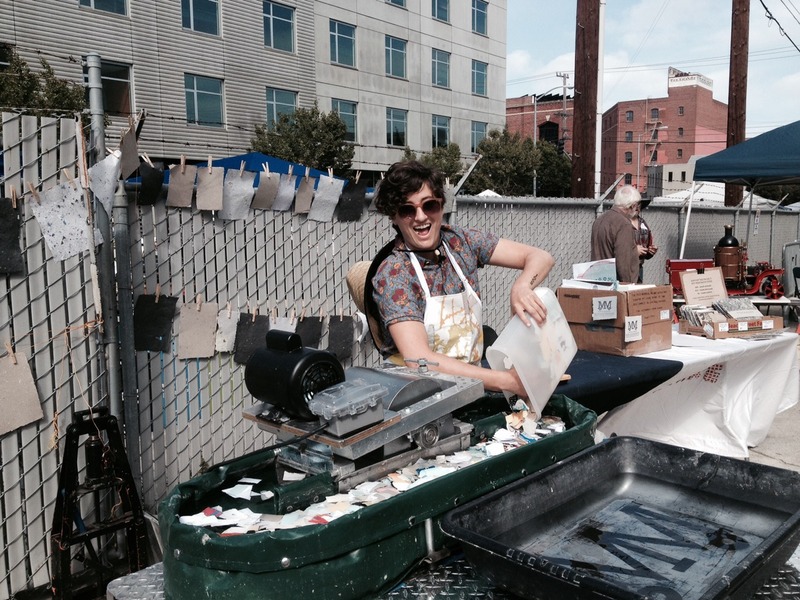 The Mobile Mill demonstrates ecological awareness through art education, which teaches participants how to repurpose waste. At large, a studio-on-wheels has great potential to generate a type of interaction with community that considers a larger human ecology. As a moving-space able to interact between edges, The Mobile Mill considers art-making, in this case the making of handmade paper, as a way to engage in a variety of communities and dialogues.